Be the first to share your favorite memory, photo or story of Cedrick "CEEZ". This memorial page is dedicated for family, friends and future generations to celebrate the life of their loved one. April 2, 2019 will be a day forever etched into our memories with sadness in our hearts and tears in our eyes. On that day we had to say goodbye to a good man that has full of pure love and enjoyment. A man who had found Christ in his heart at a young age. On that 2nd of April, Cedrick Demetrius Mayfield, was called home by the Lord. We lost, a beloved son, cherished brother, a proud daddy, and a Veteran, but gained an amazing angel to watch over us all. The Lord knew Ceez could serve this world better by being up there to watch over us all. Although we feel empty without him physically here with us, our hearts are filled with love and warm thoughts of memories we have shared with him! Cedrick Demetrius Mayfield, was born on March 29, 1981 to and is survived by his beautiful Mother, Andrea Mayfield and Father James Vann in San Francisco, CA. His love and legacy will carry on through his children, Sons, Jaylen, Jaden and Cedrick Jr. Daughters, La’Maya, Zanobia, Zerrie, and Gensis all whom still reside in San Francisco. Cherished thoughts and times will care on with his Step Father Selwyn Gause of San Francisco, Sisters, Rajita Gause of San Francisco, Tiffany Vann, Aguille Vann, Lila Vann, Robin Vann, and Caroline Vann and brother Calvin Vann, of Memphis TN. Cedrick’s Auntie’s Pat Maxwell, Carlyn Maxwell, Paula “God Mother” Mitchell, Linda Garcia, Betty Brown, Catharine Brown, and Doris Vann, will forever hold a special place in their hearts for their Nephew. His kindness and compassion will forever fill the heart of his wife, Terra Mayfield and mother-in-law Regina Peterson. Forever he will live on in the memories with the host of nieces, nephews, cousins and friends whom he is survived by. To welcome him into the Lords house, Cedrick, will be greeted by his Grand Parents, Marshall and Jenny Maxwell, James and Eileen Vann, along with many other long-lost family and friends. Ceez, will forever be remembered as a devoted family man and with a nature of being hard working, and a million-dollar smile, who server his country and came home to be a family man through and through. Ceez’s, family would like to invite all that knew him to come and share those thoughts and memories at his Memorial. It will be held Tuesday, April 16, at 1320 Golden Gate Ave, San Francisco, CA, at 1pm. Ceez asked for all to be dress casual. To send flowers or a remembrance gift to the family of Cedrick "CEEZ" Demetrius Mayfield, please visit our Tribute Store. 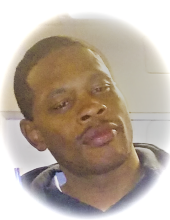 "Email Address" would like to share the life celebration of Cedrick "CEEZ" Demetrius Mayfield. Click on the "link" to go to share a favorite memory or leave a condolence message for the family.